Mitsubishi has made quite a few changes to their lineup for the 2017 model year. Mitsubishi no longer sells the Mitsubishi Lancer, but a new fuel efficient model, the Mitsubishi Mirage G4, took its place. Additionally, Mitsubishi added in a couple new trims to spice things up. Here’s an overview of what Mitsubishi models are currently available. A vehicle known for its fuel efficiency, the Mitsubishi Mirage is a subcompact hatchback that averages 37 mpg in the city and 43 mpg on the highway. Available in three trims, the Mirage is a very affordable yet well equipped vehicle. With available features like Bluetooth voice command, Apple CarPlay, Android Auto, and FAST-key passive entry, consumers get plenty of bang for their buck. Plus, the stylish and popular hatchback design provides 47.0 cubic-feet of cargo (with the seats down). Not directly linked to the Mirage, the Mitsubishi Mirage G4 is a sedan with plenty to offer. Like the Mirage, the Mirage G4 has great fuel economy, with 35/42 mpg city/highway. It’s available in two trims, both of insane affordability of below $16k. Also along with the Mirage, the Mirage G4 has landed on many Kelley Blue Book “Ten Best” lists – “Most Affordable” is definitely one of them. Also available with Apple CarPlay and Android Auto. The original icon for Mitsubishi Motors, the Mitsubishi Outlander is one SUV not to forget. With it’s available 360 degree multi-view camera system, advanced safety features, and seating capacity of seven, everyone can fit comfortably knowing that they’re not only protected, but with available features like dual-zone automatic climate control and a Rockford Fosgate surround sound system, it’s a ride to enjoy. For a sportier look while still having plenty of space, look for the Mitsubishi Outlander Sport. Recently having received a limited edition with heated driver and passenger seats, high intensity headlights, and Apple CarPlay and Android Auto with Bluetooth technology, consumers can get many great features for a fraction of the price. Plus, although a little more compact than the Outlander, it still gets 49.5 cubic-feet of cargo space and an optional roof rack. Things will continue to get interesting because there are some more models expected to be introduced in 2018, including the Mitsubishi Eclipse Cross (a crossover with cool technology), Model A PHEV, and the Mitsubishi Expander, which is a minivan available in another country. 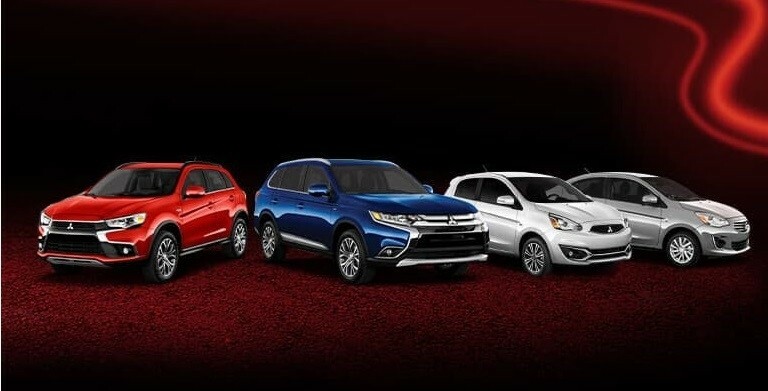 In the meantime, search all of the available Mitsubishi models at University Mitsubishi online here.